“A compass to guide our decision-making well into the 21st century” is how Regional Development Minister Danny Kennedy has described the Regional Development Strategy, released in its final format on 15 March. Planners are looking forward to seeing this strategy deliver, and are especially keen to see Belfast’s population grow. A more populated city, as Dublin and other European examples show, is more vibrant, potentially safer (with more people congregating in the evenings) and less congested. An aim of 300,000 residents is set for 2021. That population figure was last attained in 1987 (300,746) before falling to 267,374 in 2006 and rising marginally to 268,745 in 2010. High density residential development is proposed for the city centre gateway sites and inner- and middle-city communities can be regenerated by promoting commercial development along arterial routes. • strengthening links between North and South, east and west, with (continental) Europe and the rest of the world. Asked to explain why all aims are equal, a DRD spokeswoman said that the strategy “recognises that policies for physical development have far reaching implications”. It is not limited to land use and is recognised as a building block for the Programme for Government. The previous strategy was published in 2001 with a timescale running to 2025. The draft was released for consultation between January and March 2011, and taken forward by new Regional Development Minister Danny Kennedy after the Assembly election. The final version was approved by the Executive on 26 January this year. 3 per cent in Belfast but up 10 per cent in the south and west of the province). The draft strategy had identified nine sub-regional centres: Ballymena; Coleraine; Cookstown; the Craigavon urban area; Downpatrick; Enniskillen; Newry; Newtownards; and Omagh. It assumed that five of these centres (Ballymena, Coleraine, Cookstown, Craigavon and Newry) would work well in ‘clusters’ with smaller towns, e.g. lining up public transport with local shopping and travel-to-work patterns. 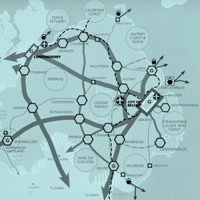 The Newry-Dundalk cluster had a cross-border element, which is again affirmed in the final strategy. • Newtownards and the Belfast metropolitan urban area (BMUA). Around 40 per cent of Northern Ireland’s population lives in rural areas but the strategy points out that few areas are truly “remote”. Most people live within 15 miles of a hub but services and jobs in rural areas must be maintained as people live there “through choice or birth”. ‘Gateway’ points into Northern Ireland must be welcoming and attractive as a region’s image is “set within the first few minutes of arrival and is difficult to change once established”. ‘Regionally significant economic infrastructure’ is also defined, comprising “strategic improvements in external and internal communications” (i.e. 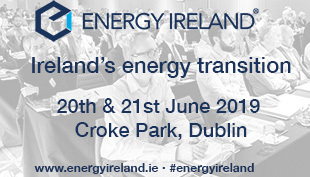 transport and telecoms), projects contributing to renewable energy, waste and climate change targets, and others “of regional or more than regional importance”. The Maze/Long Kesh site is an example of the latter. As expected, the region’s five main transport corridors are the M1, A1 (towards Dublin), A4 (towards Sligo), A5 (Derry to Dublin), A8 (Belfast to Larne) and A26 (between Antrim and Moira). Housing growth indicators will be among the most watched statistics in the document. The aim is to increase the percentage of houses built in Belfast and its hinterland from 43 per cent (1998-2008) to 48 per cent (over the 2008-2025 timeframe). The indicators were previously viewed as either targets or absolute maximums but the strategy makes clear that these are guides for planners. Only minor variations have been made from the draft. Existing commitments on environmental and energy policy are re-affirmed. Development will be minimised in areas with a high flood risk. The Executive will also consider establishing “one or more” national parks; a proposed Mourne national park has been held up by opposition from farmers. Implementation will be overseen by a ministerial sub-group, comprising the Regional Development Minister, Environment Minister and Social Development Minister (as their remits are most relevant to the strategy). The DRD will analyse progress every three years and the Regional Development Committee can request a briefing at any time, as occurs regularly. A more comprehensive review will also take place, with its timing depending on progress made. The RDS will be implemented through development plans, planning policy statements and development schemes, which must conform to it. This remains the law regardless of the planning authority, so councils will not be free to make radical changes when they receive planning powers. The RDS calls for “high quality connections” to and from airports to match rising demand as the economy recovers. MLAs on the Regional Development Committee are already exploring those links, after Alliance’s Stewart Dickson demanded more ambition. Dickson has called for stations at Belfast International and the City of Derry Airport. Aldergrove railway station was closed in 1960, three years before the airport opened. He is also seeking a footbridge or underground walkway between Sydenham railway station and Belfast City Airport. “Look how important businesses consider travel links to be when examining where to invest,” Dickson stated, “so the benefits of such projects will be very tangible, both for tourism and our wider economy.” All London airports, in comparison, have direct rail links into the city. With a change of party in charge, the final version contains less of an all-island emphasis than in the draft, which referred to the ‘Infrastructure for an island population of 8 million’ report by Inter Trade Ireland and Engineers Ireland. However, it recognises the need for joined up spatial planning in border areas and the mutual North/South benefit of transport, energy and telecoms infrastructure. Elsewhere, road and rail connections to Scottish ports are important for maintaining good east-west transport links. The sea link to Liverpool opens up access to one of Europe’s largest ports. Collaboration on North/South and east-west links, it suggests, should take place between strategic planners.